The Termite-Ant Research Team had a productive BES 2016 and saw some excellent talks, especially the plenaries from Anne Chao and Hugh Possingham. These dogs are used for ecological surveys! I presented the work from a collaborative review of forest canopy science. This review incorporates expertise from 17 co-authors from around the world and synthesizes the recent advances in canopy science, providing an update on the newly expanded canopy crane network and suggesting future directions for canopy science. Below is a video I took going up the newly built canopy crane near Xishauangbanna Tropical Botanic Garden, Yunnan, China. Several TARTs set out from London on valentines day, to begin what we thought would be a three month field season. An extreme El Niño event scuppered some of our plans, but we were still able to spend six weeks at Maliau Basin, carrying out several experiments and collecting samples. Here are some photos from the field trip. We are interested in the roles termites and ants play in rainforests. In order to study this, we have suppressed ants and termites on 50x50m plots at Maliau Basin, Sabah. 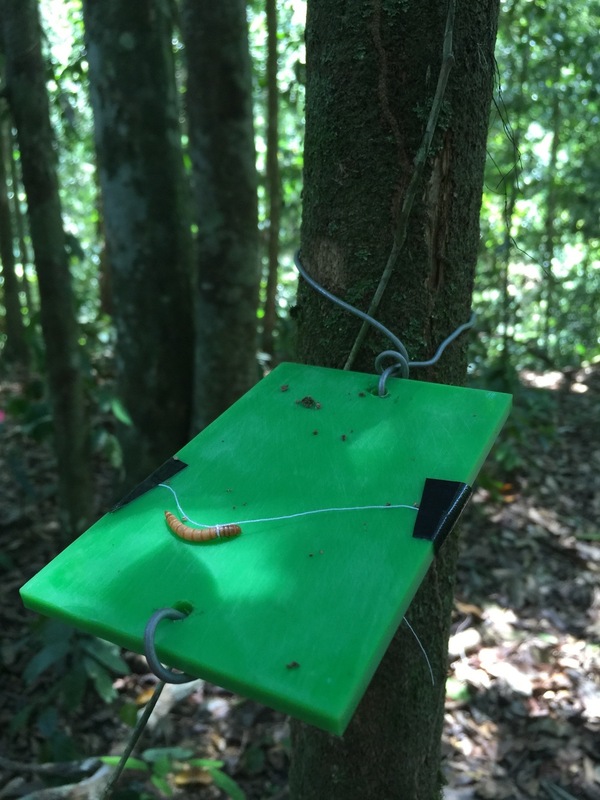 In one of our experiments, we use three tools - fake caterpillars, live mealworms and seeds, to measure how the removal of termites and ants changes ecological communities, predation rates and seed removal rates. Although it was very dry during our field expedition, we were able to collect decomposition experiments that we had established in 2015. We used wood blocks and leaf litter bags to investigate the roles of fungi and termites in rainforest decomposition. We were also able to measure C02, soil nutrients and bioturbation, as well as the continued measurement of herbivory on our experimental seedlings. 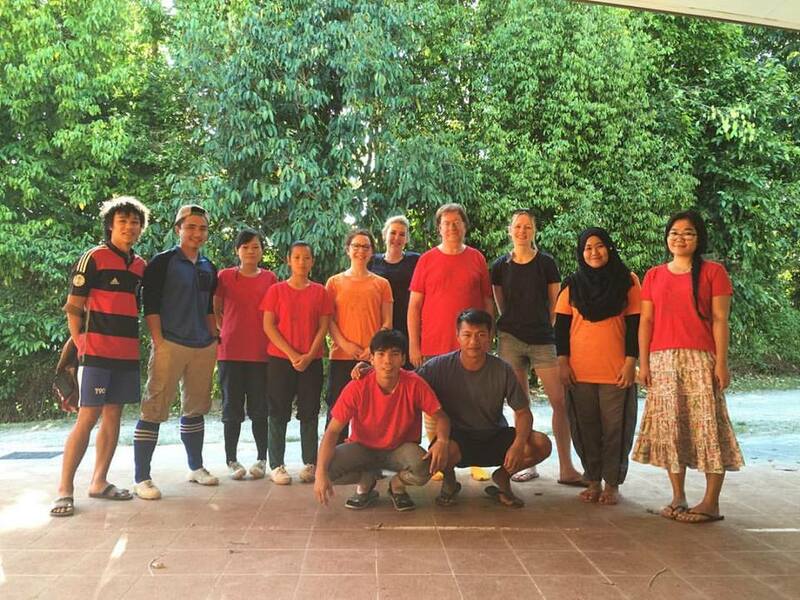 During our trip to Malaysia, we able to participate in 'Friends of Borneensis', a three day even held at University Malaysia Sabah. 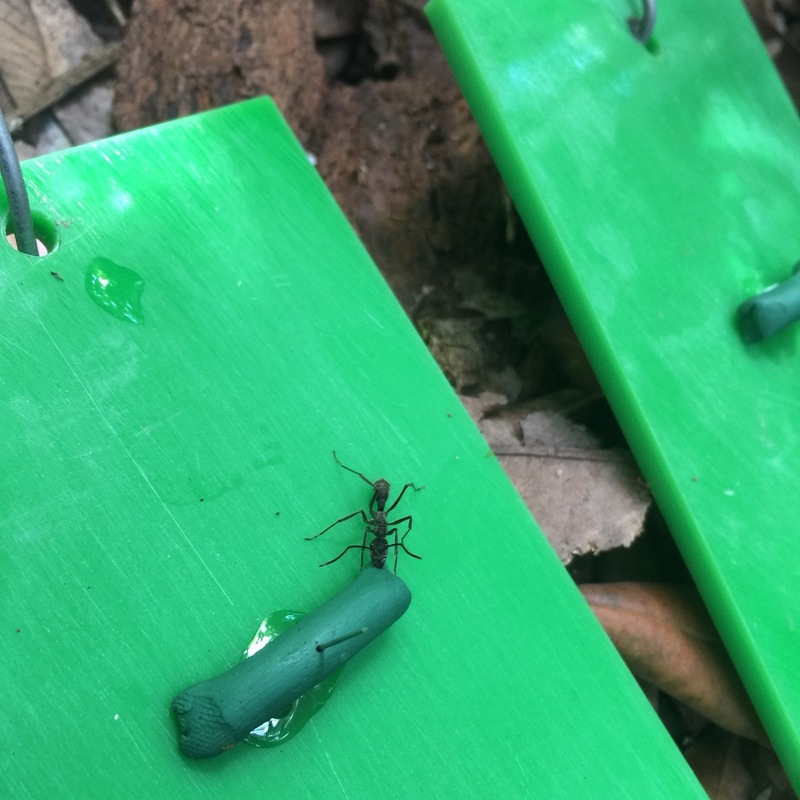 During Friends of Borneensis, high school students camp, learn different aspects of rainforest ecology and field-based ecological methods, including collecting insects, flying drones and tree climbing. We gave talks about using insects in rainforest ecology and had a great time with the students who were really keen. BORNEENSIS refers to the reference collection for flora and fauna in Borneo. One of the objectives of the establishment of BORNEENSIS is to educate and increase the awareness among Malaysians of the natural heritage. Our Feb/March field trip was a success! We are now planning our next field trip - September and October 2016, when we will continue our experiments and sampling. Although it was a very dry period in February and March 2016, we did encounter some very beautiful and exciting animals and plants! Paw print! Maybe a civet? Or a leopard cat?